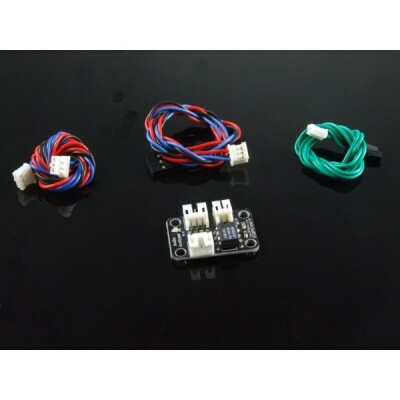 This module can be used to create sound visualizers, detect patterns in music, or add sound activation to your microcontroller. This module features the MSGEQ7 graphic equalizer display filter. 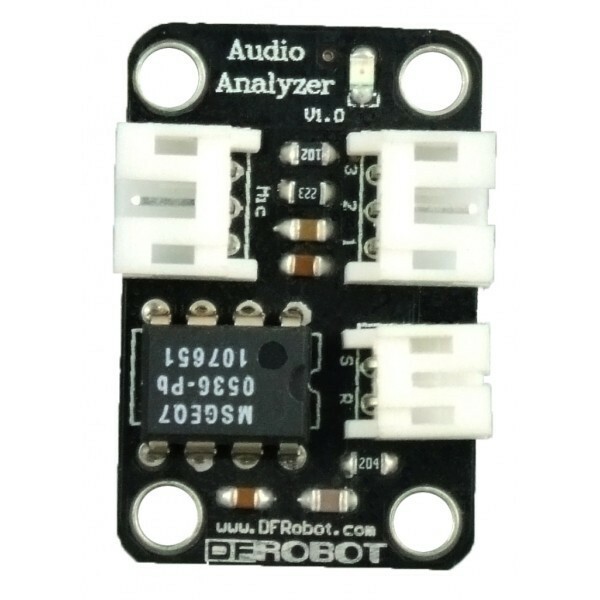 It will give your Arduino ears. Sound is broken down into seven frequency bands and the peak level for each band can be read. The seven frequencies measured are as follows: 63Hz, 160Hz, 400Hz, 1kHz, 2.5kHz, 6.25kHz and 16kHz. Detect patterns in music - make a robot dance! Process the values read, then display on LEDs as a soothing visualization which changes with the music. Pimp the interior lighting in your car so it pumps to the beat and twinkles to the high hats. Create / listen for fingerprints in certain sounds - voice analysis.